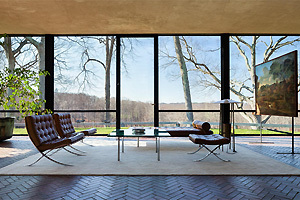 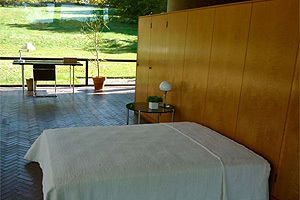 The undisputed granddaddy of glass houses, this interior wall-less masterpiece of modernist architecture complete with “very expensive wallpaper” was completed by lauded American architect Philip Johnson in 1949. 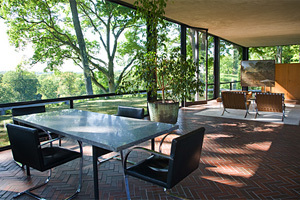 Johnson lived in the Glass House (on weekends, anyways) up until his death in 2005 at the age of 98, although the structure was eventually used mainly for entertaining, with Johnson and partner, the art curator David Whitney, opting to sleep in another decidedly more private structure on the couple’s immaculately landscaped 47-acre New Canaan estate: Brick House. 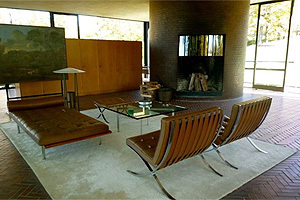 Declared a National Historic Landmark in 1997, ownership of Glass House was passed to the National Trust for Historic Preservation and opened for public tours 10 years later.